Do you have a lot of tabs open no matter what time of day it is and find sorting through the tabs list frustrating? 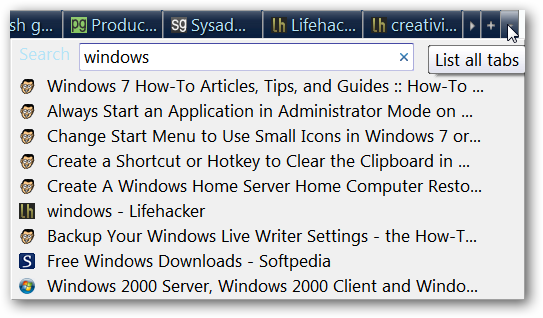 Then get control back with the List All Tabs Menu extension for Firefox. 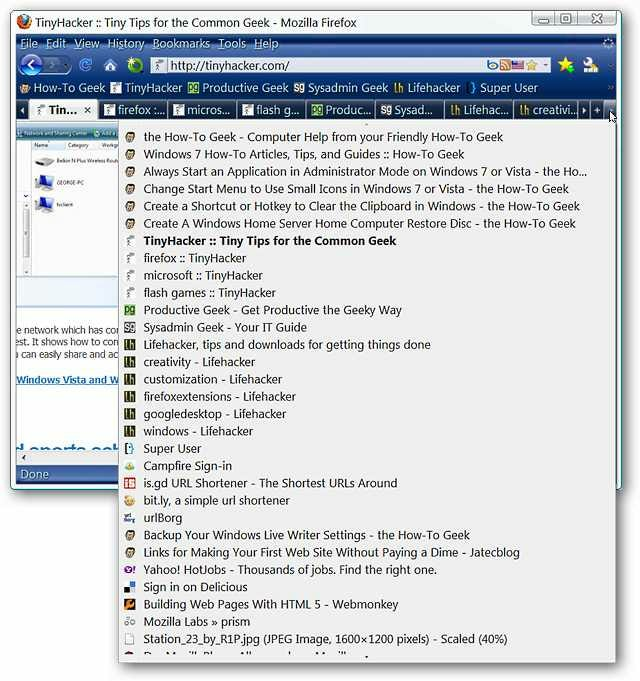 If you have a large number of tabs open using the “Tab List Menu” can start to become a little awkward. You can use your mouse’s middle button to scroll through the list or the tiny arrow button at the bottom but there needs to be a better way to deal with this. 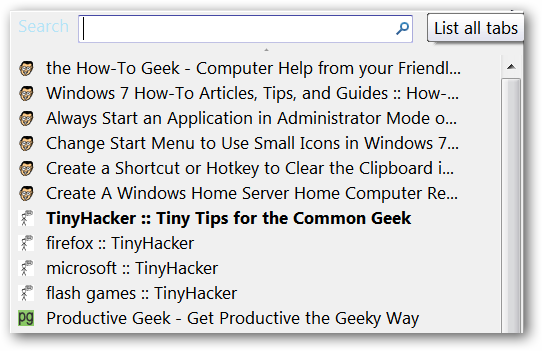 Once you have installed the extension you will notice two differences in the “Tab List Menu”. There will be a search box available and a nice scrollbar for those really long lists. 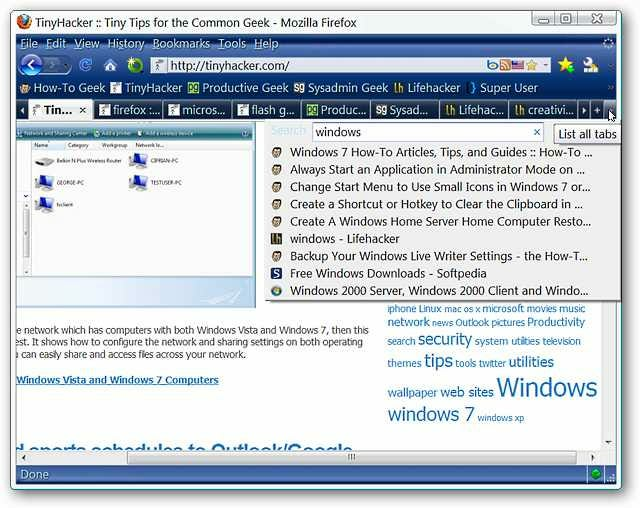 Depending on your style you can use the scrollbar to look for a particular page or enter a search term and watch that list become extremely manageable. A closer look at our much shorter list after conducting a search. Definitely not hard to find what we were looking for at all. 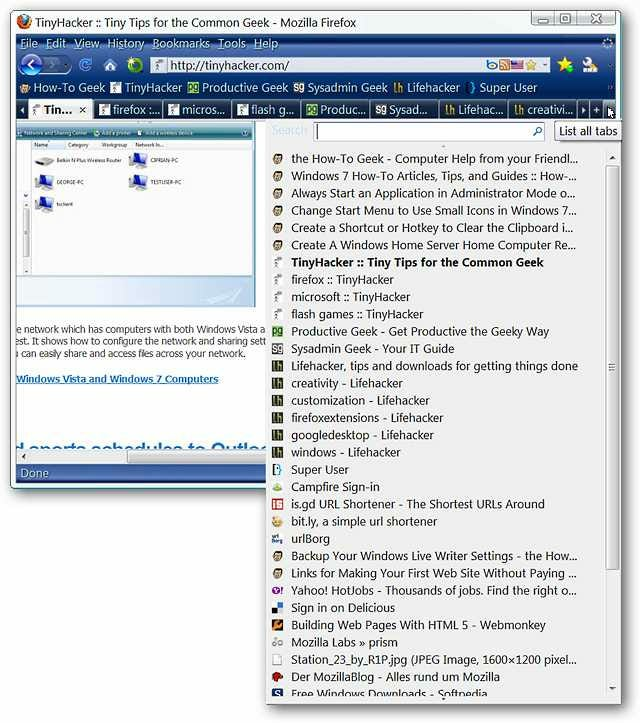 If you are someone who has lots of tabs open at once throughout the day then the List All Tabs Menu extension might be the perfect tool to help you sort and manage those tabs.